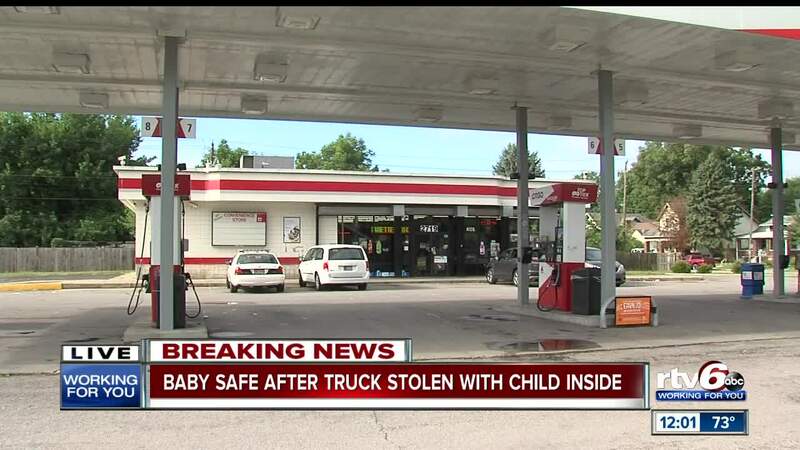 INDIANAPOLIS -- A truck with an infant inside was stolen Monday morning on Indianapolis' northeast side. The stolen truck was left running at a CitGo gas station near the intersection of 38th and Rural streets. A 7-month-old baby was in the backseat. Shortly after the truck was stolen, the baby was found at a nearby house on Temple Avenue. Police are looking at surveillance video from the gas station.